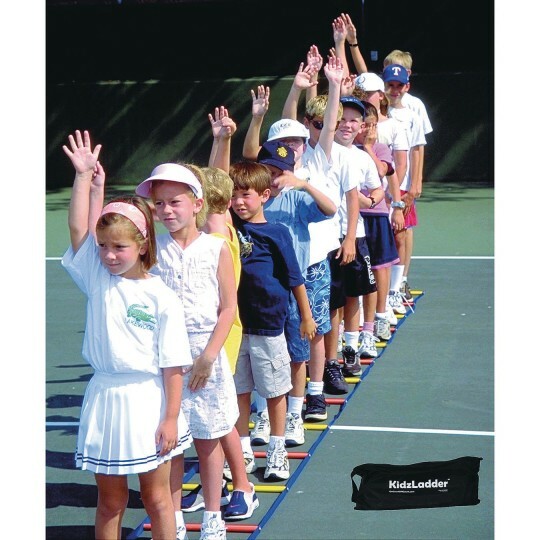 The KidzLadder has flat-bottom rungs to minimize slipping if accidentally kicked, but the rungs are also rounded on the top to guide children to pick up their feet for ideal movement biomechanics. 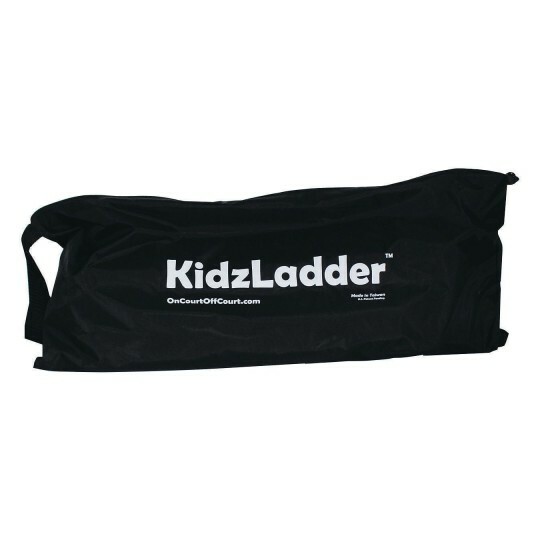 The 2-part KidzLadder is 25’ long and comes in a sturdy zipper carry case. Rungs measure 18” apart x 16” long.